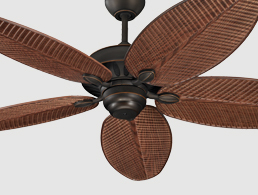 Typically a bit more formal or ornate, these refined fans feature intricate details and thoughtful design often inspired by classic architectural styles which add sophistication, warmth and richness to a space. 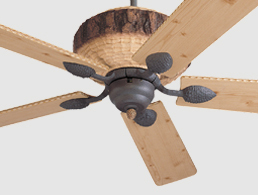 Balancing traditional and contemporary design elements, these fans complement a wide range of dï¿½cor choices or an eclectic mixing of styles. They are sophisticated while also being streamlined stylistically and are sure to remain relevant over time. Clean lines, less ornamentation and a minimalist approach characterize these fan designs. 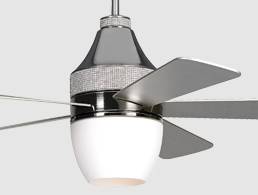 Whether used within an equally sleek dï¿½cor or as a foil to more ornate surroundings, the architectural silhouettes of these fans convey style and edge. 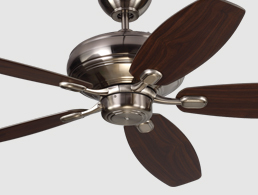 Referencing a very specific historic period or dï¿½cor choice, these fans help convey a specific theme by reinforcing key design elements and truly contributing to the overall design impact of the space. To bring the quality and style you seek inside your home to all your outdoor spaces as well, these designs deliver both durability and design. 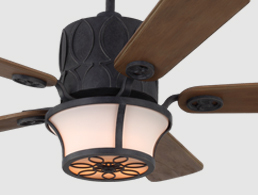 Anytime of day or night, the air movement and light they provide help extend your usable living space well beyond the boundaries of your home.